Hat tip to Right Wing News. The Spartans are trapped at Leuktra, their king Kleombrotos dead. But just as the Thebans are to crush the final circle and carry off Kleombrotos, Lichas charges through the enemy to save his the body of his king, and nearly kills Chion, Melon, and Epaminondas as he finds a path out. Lichas and his son cared nothing for the collapse of the Spartan ranks, much less the truth that the day of his parochial state was over. No worry that its dwindling manhood would never again march far to the north as it had for a 100 seasons and more. 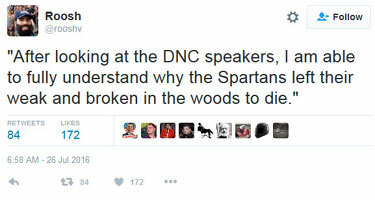 No, it was enough that they were Spartans. Now in the joy of battle, now with their grip on shield and spear, whether that was here in the north or far to the east. His son was with him. Good men still lived. Life was sweet, the best when in the hammer and tongs of battle. Spearing Persians or Thebans, it mattered little. Whether in the heyday of Spartan power or now amid its twilight also countered for nothing. Lichas was Spartan and in his armor, the gear of no less than Lysander himself. So he was stalking proudly and upright despite his age. 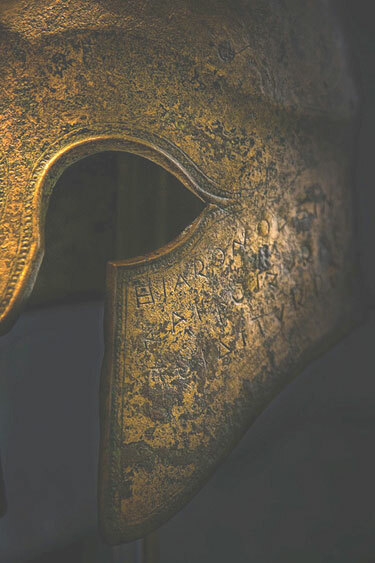 If the Spartans were to lose, they would lose the way of Leonidas and Lichas, killing as they protected their king with all blows to their front. The stabbing now grew fiercer still, and Lichas smiled as he heard the dying around him in vain begging the Keres to pass them by, the vultures of death now back above Melon, but who kept their wide distance from Lichas lest such a man strike even them a lethal blow. Then without missing a step, Lichas stepped on the downed Chion’s chest and tried to stomp the slave to death. The slave rolled away, and Lichas moved on to finish off others less dangerous. But the slave stumbled somehow to his feet, bellowing, “Chion lives! Kill the king! Where is Kleombrotos?” Then Chion crashed to the ground again, still muttering as the battle raged past him. Lichas next slammed his freed shaft with an upward flat stroke against the helmet of the onrushing Epaminondas himself. Before Epaminondas could recover from the slap and with his men swarm such a killer, old Lichas stooped down, and with one fluid motion, more a god now than human, picked up his bleeding king, slung him over his back, and used his body as a shield to batter himself a way out back through what was left of the guard. Antikrates backpedaled behind his father, screaming for all those still alive to follow the path of the old man. There were perhaps only 100 Spartans still alive in the circle who broke out with Lichas, the bald hoplite god, roaring to all, “Not today, not ever, not today, not ever—ou sêmera, oupote, ou sêmera, oupote. These were desperate and defeated men, abandoned by their allies, surrounded by the Boiotians. But such killers were now buoyed by this late appearance of their bloody Ares, their god Lichas who had always found a path out for them. With Lichas they were determined to fight their way out with their Kleombrotos rather than surrender. With Lichas by rote they returned to all their training and as if awoken from their trance backpedaled in column. With Lichas, almost magically they wheeled around and plunged ahead through Pelopidas’s men to their rear who thought the battle was long over. With Lichas in the armor of Lysander they could do anything! One man, a single man like Lichas was worth a lochos, maybe two. the Archives of Never Yet Melted in the 'Sparta' Category.